The DUDE legend continues with the totally broriginal DUDE Diary 4. It's time for dudes to take charge, filling pages and pages with their brainiac awesomeness and securing with a lock and key. - and totally tear up a page! Includes extra pages for dudes' epicly creative ideas and a super boss lock and key. 7. 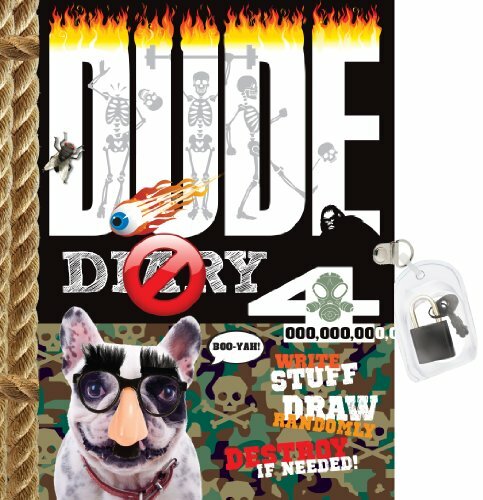 Dude Diary 4: Write Stuff, Draw Randomly, Destroy If Needed!